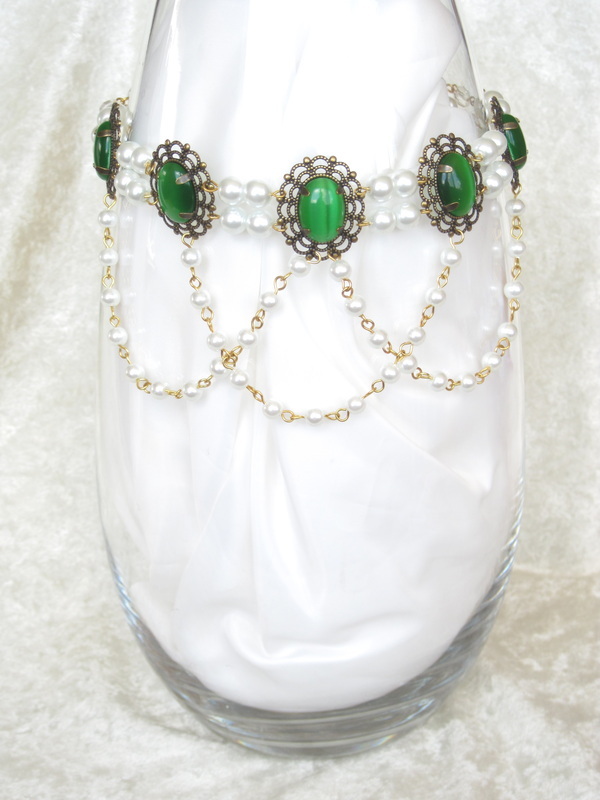 A graceful choker and earring set featuring five glowing emerald green glass cabochons set in antiqued filigree medallions. Delicate, pure white glass pearls add their luster in three gracefully draping swags. 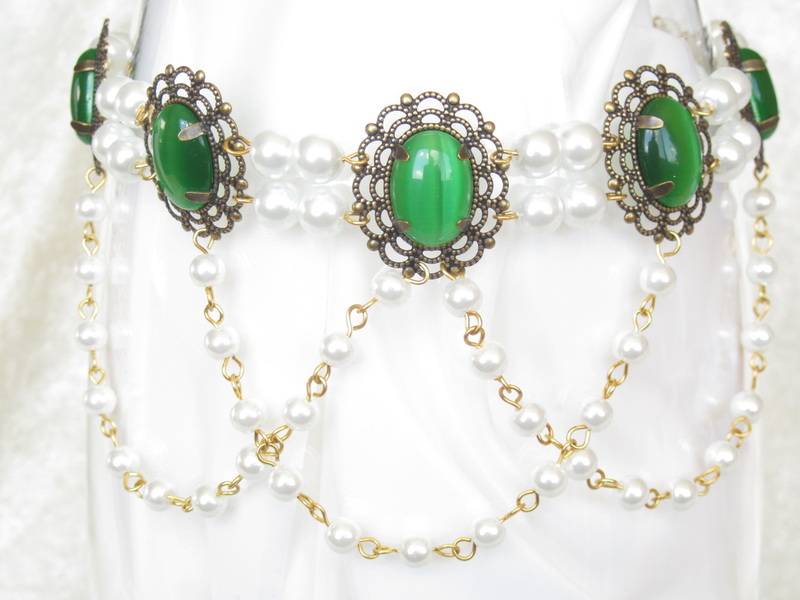 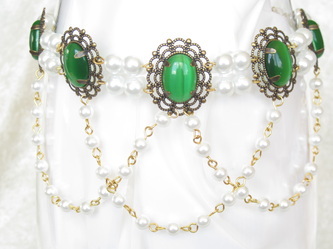 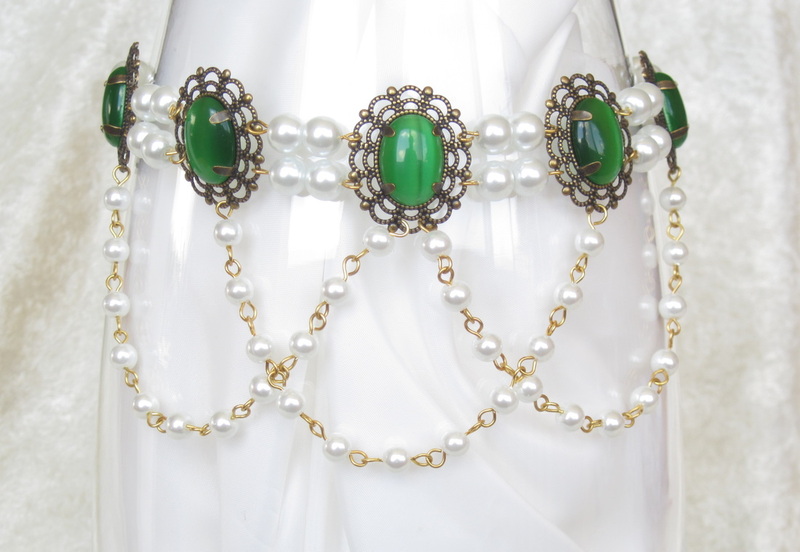 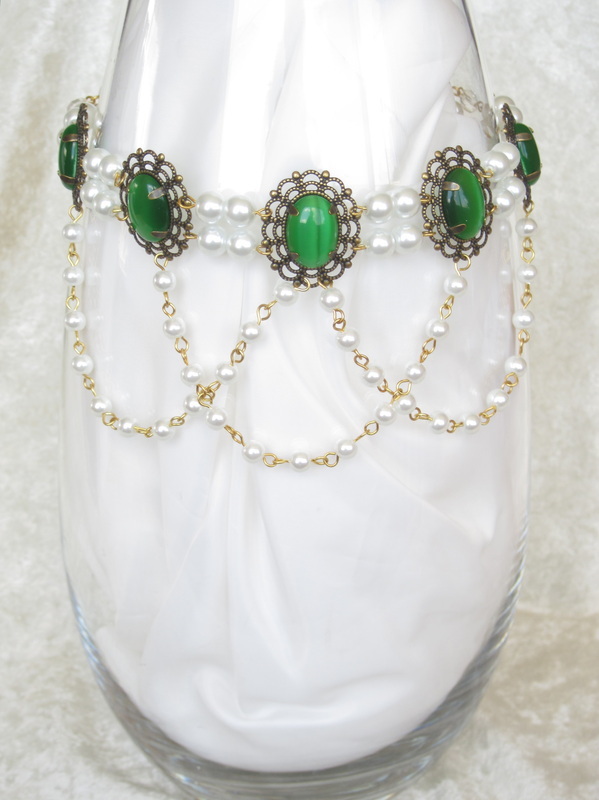 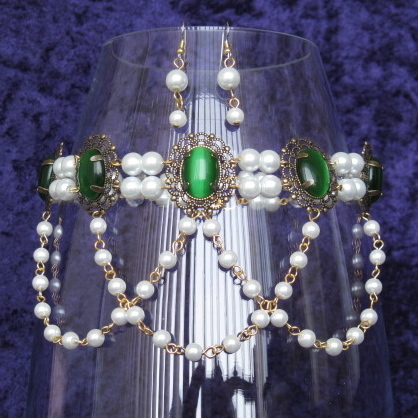 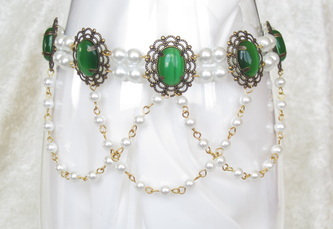 This Tudor style set will go perfectly with your RenFaire finery or dress up any outfit in your closet! 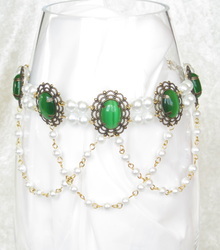 The choker measures 15" and the matching earrings dangle 3/4" below surgical steel ear wires.